The XFL is coming back, but for how long? It’s been a week since Vince McMahon announced that he is bringing back the XFL. It won’t be here for a few more years, but there’s already a lot of speculation about who might or might not be involved when the league returns after a 19 year hiatus. Before getting into guessing who could play in the league, let’s go over what we learned from the press conference a week ago. McMahon wants to make football faster, safer, and a better overall product. Better can be a relative term though, as McMahon’s version of better means no politics and all players are required to stand for the national anthem. McMahon has been thinking of ways to make the game faster, since three hours is apparently too long. His resolution? Cut out halftime. Players with any previous criminal record are not allowed to play in the league. 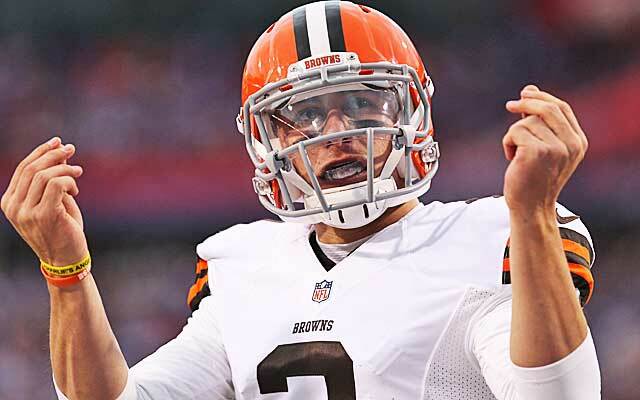 McMahon said in the press conference that the “quality of the human being is as important as the quality of the player” which means that Johnny Manziel won’t be able to run from the CFL just yet. Like I mentioned, the XFL is not a place for players to mix politics with sport. So that rules out another guy by the name of Colin Kaepernick. McMahon is going to be the owner of all 8 teams in the league. While no cities have been decided on yet, all teams will be run under control of the league. The biggest difference between the first XFL and this one is the amount of time McMahon has to prepare for the final product. With the league not expected to start for two years, McMahon has plenty of time to select the 8 cities and find the best available players. The issue for McMahon is that there’s a reason why these players are available, and it’s because they aren’t good enough to be in the NFL. While fans may like some of the changes McMahon is able to make with the XFL, the overall product is still football, and the NFL will always have been football than any other rival league. Now, I’ve mentioned some players who we likely won’t see in the XFL, but there are still some notable names who we may see play. While Tebow hasn’t been on a football field in years and has turned his attention to trying to crack an MLB roster with the New York Mets, the rumours started swirling right away about Tebow making a return to football. Personally, I don’t think Tebow goes back to football unless his baseball career dramatically fizzles out, but I guess there’s always a chance that Tebowing becomes big again. When RG3 broke into the NFL it looked like he was going to become the face of the league for a long time to come. Fast forward a few years later and he couldn’t even hold down a job with the Cleveland Browns. He’s said that he is still looking for a job in football, and the XFL could be that opportunity if Griffin isn’t able to find or hold down an NFL job over the next couple of seasons. We’ve seen flashes of brilliance from RG3, but he’s also been a bit of a bandaid during his career. Look, I know kickers aren’t exactly a valued commodity in football, but the XFL could become sort of like a proving ground for guys who have been tossed away from the NFL. Lately, it seems like no kicker gets as much hate as Aguayo, but for good reason. After Tampa Bay drafted up to take him in the second round, Aguayo has been an absolute disaster in the NFL. He’s made just 71% of his kicks, with his longest being only 43 yards. After a season with the Buccaneers, Aguayo spent 2017 splitting time on practice squads for the Bears, Panthers and most recently signed with the Chargers to a reserve contract. So when his career in the NFL eventually hits rock bottom (if it hasn’t already), Aguayo could find himself in the XFL in a few years time.